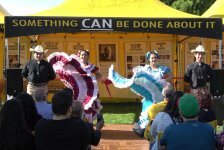 Scientology Volunteer Ministers Western U.S. Cavalcade opens in San Diego with a tribute to the city’s Latin culture. 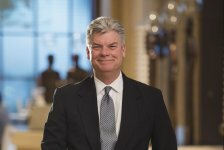 Scientology Churches and groups in countries around the world celebrate the 70th anniversary of the Universal Declaration of Human Rights, adopted by the United Nations on December 10, 1948. A nonprofit in Kenya adopts the Foundation for a Drug-Free World program to help it accomplish its humanitarian mission. 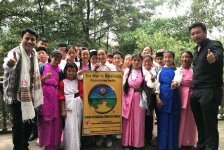 Empowering students in Sikkim, India, with 21 precepts to improve their lives. 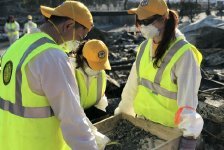 Scientology Volunteer Ministers continue to help families cope with and recover from the devastation of the California fires. With the annual Christmas Parade one week away, volunteers join The Way to Happiness Foundation for a Hollywood neighborhood cleanup. 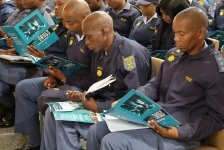 Gaining the skills needed to get through to South African youth on this urgent subject. Scientology Volunteer Ministers help Agoura Hills community salvage what remains of their burned-out homes. 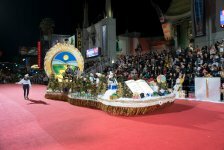 Unique sports event that values competence over competition is inspired by The Way of Happiness, the common-sense moral code written by L. Ron Hubbard. Teams of Scientology Volunteer Ministers (VMs) are helping provide essential care for those affected by the worst fire season in California history. 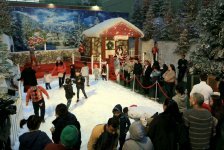 Traffic stopped on Hollywood Boulevard Tuesday, November 13, as a 65-foot white fir was craned into place at Santa's home in Hollywood. 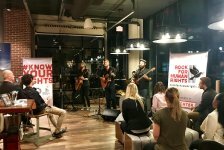 Rock and roll music group stops in Washington, D.C.,to educate youth on how to protect their basic human rights as a part of their “ 30 Days 30 Rights ” National tour. Rock for Human Rights (R4HR) is a rock and roll group with a mission: to educate kids about their human rights through music. Scientology Volunteer Ministers disaster response in Mexico Beach, Florida, a town that was all but destroyed by Hurricane Michael. 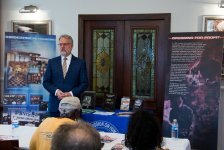 At an open house at the Church of Scientology Pasadena, a human rights advocate briefs the community on the African Literacy Project and the results of its summer Youth Literacy Leadership Initiative in Liberia.